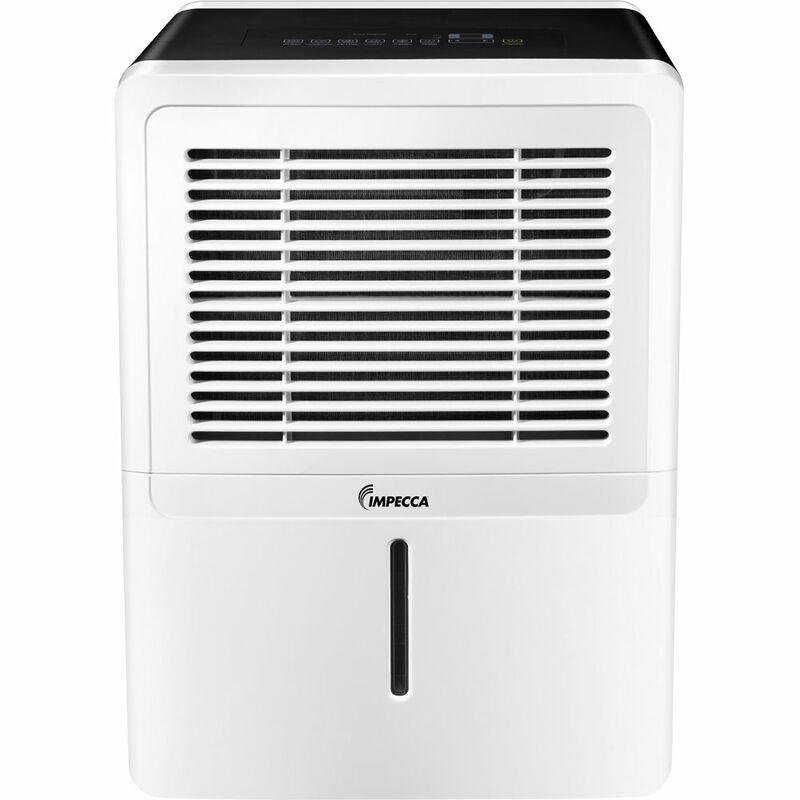 Capable of extracting 30 pints of moisture per day, the IDM-30SE Portable Dehumidifier from Impecca helps to prevent unwanted moisture, mold, or mildew from contaminating your home or workspace. A large, front-loading water bucket incorporates a handle for easy emptying when needed, or you can connect a hose for continuous and automatic draining of the water tank throughout the day. A 24-hour timer can be used to limit the time the machine is running and an intuitive LED display allows setting of other features, such as a choice of two fan speeds and an auto restart function. Furthermore, the portable design of this dehumidifier allows it to be installed in a variety of locations and is ideally suited for maintaining a clean and dry environment. Box Dimensions (LxWxH) 21.0 x 15.8 x 12.1"